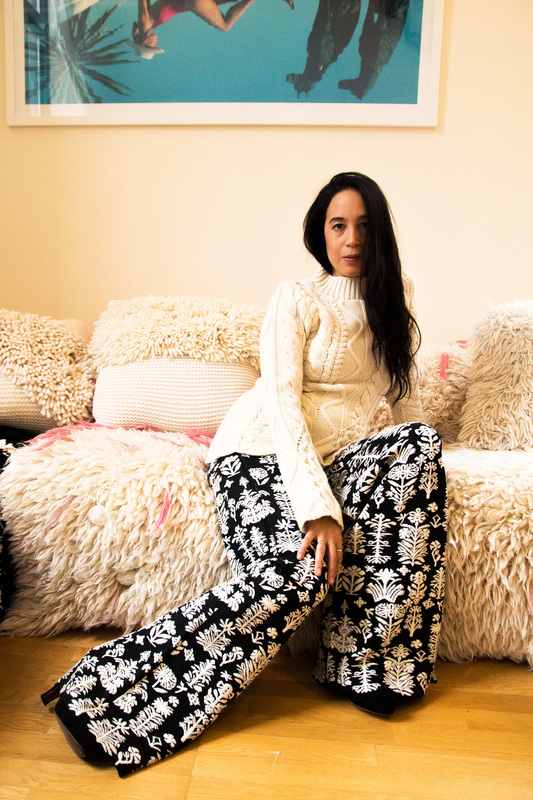 I’m back with a new Fashion meets Interiors feature and today we’re showcasing the cutting edge NYC brand Tabula Rasa. 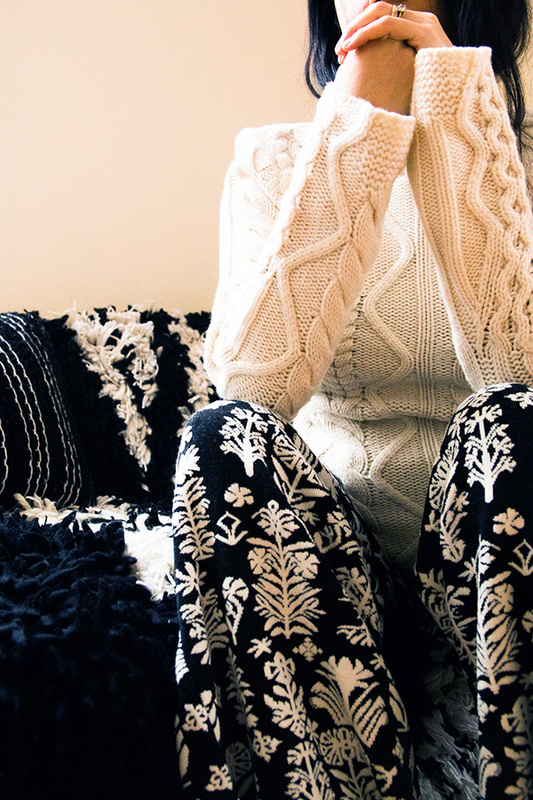 I love their contemporary approach to knitwear and I know you will too. 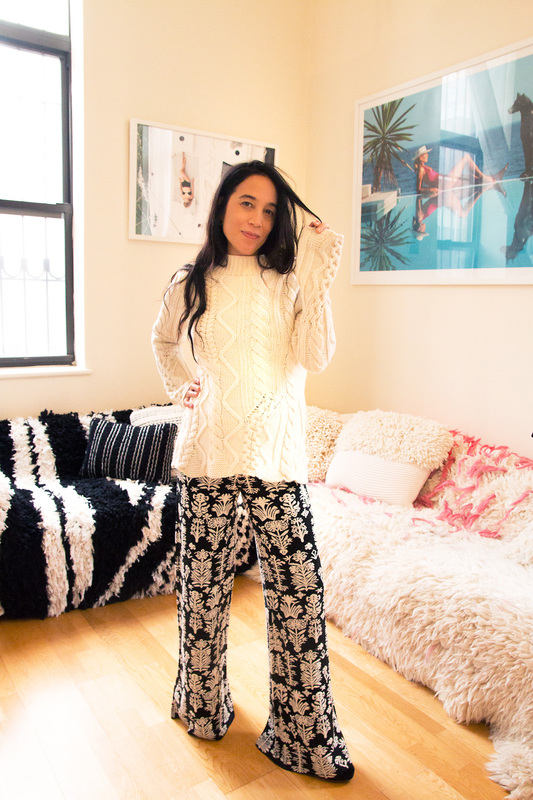 Meet Tabula Rasa founder Emily Diamandis as she styles Tabula Rasa’s clothing to match this stunning interior space. I’m Emily Diamandis of Tabula Rasa. At Tabula Rasa we embrace this concept of being able to create an environment of opportunity. Every day is a reset, from the clothes you wear, the people you encounter, and the decisions you make. I chose this design because the aesthetic resonated with my own style, playful and modern with sophisticated accents. I really connected with the clean look of this space balanced by the textural quality of the fringed stool and gold accents. I love to layer texture and pattern and elevate the look with a pop of gold jewelry. 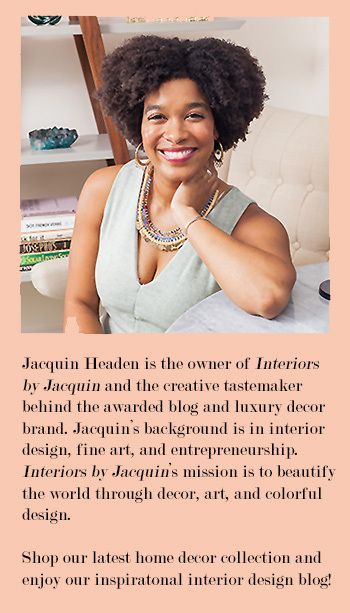 I love having the opportunity to collaborate with Jacquin. I believe that any space we inhabit can become a personalized retreat of comfort, creativity and style and with Tabula Rasa I wanted to create products that allow the owner to express their personal style no matter the space. 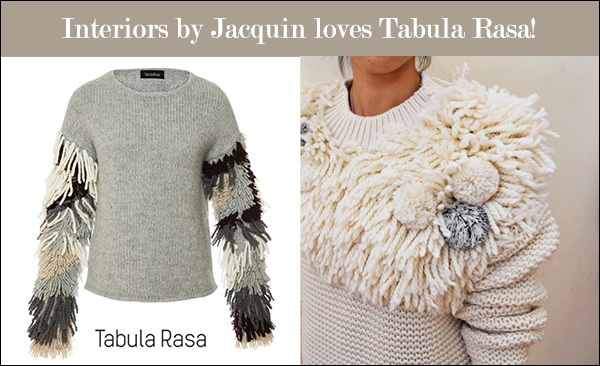 Jacquin translates this so well into her design. Made for the modern journeywoman, Tabula Rasa is about feeling luxuriously at home, everywhere in the world. Be sure to follow Tabula Rasa on Instagram to stay updated on their latest collections! 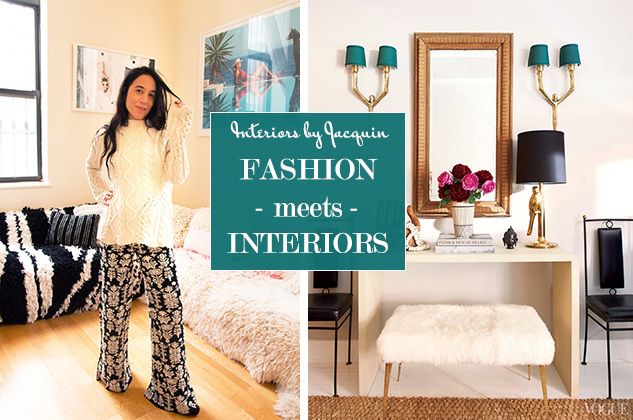 For more of Interiors by Jacquin’s “Fashion meets Interiors” series click here!